Prominent & Leading Exporter from Mumbai, we offer hydro green and corrundam stone. Keeping in sync with the new fashion trends, we are indulged in offering Hydro Green. 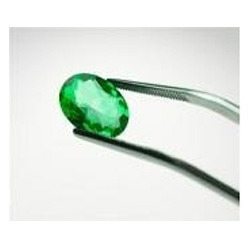 The provided hydro green stones are finished & polished by using raw gemstone and cutting-edge techniques in accordance with the set guidelines. We offer these hydro green stones in a variety of designs finish and shapes in order to the different requirements of clients. These hydro green stones are checked at vendor’s end in order to dispatch a flawless range to customers. By focusing on variegated demands of our respected clients spread all over the country, we are offering an exclusive range of Corrundam Stone. Our creative professionals finish these stones using modern techniques. These stones are available in plethora of shapes & finishes to meet the requirements of customers. The given stones are checked before dispatching to customers in order to deliver a perfect range. 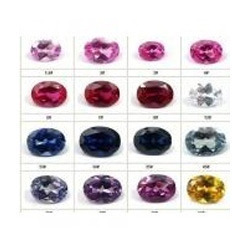 Offered stones are demanded in the market owing to their shine & high quality. Looking for Lab Created Stones ?